WikiLeaks has released the first 200 of a cache of 5m emails obtained from the servers of Stratfor, a US-based intelligence firm. The emails originated not from a whistleblower, but instead from a series of hacking attacks against Stratfor in December 2011, carried out by the online activist collective Anonymous. Anonymous apparently passed the emails to WikiLeaks in the weeks following the attack. The whistleblowing website then recruited, according to its statement, 25 media partners to work on the document cache. Stratfor describes itself as a provider of "strategic intelligence on global business, economic, security and geopolitical affairs", with a claimed 300,000 subscribers. 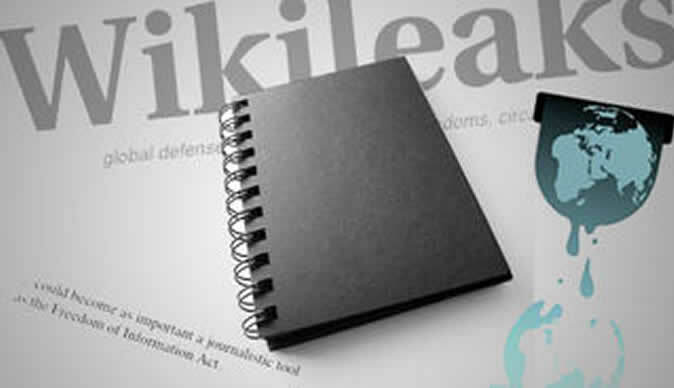 WikiLeaks said the documents contained details of the inner workings of the private intelligence agency, links between government and private intelligence, and commentary on WikiLeaks itself. The initial release was said to contain information on measures taken to track activist and NGO activity for large companies, through media monitoring, and information on the financial sector. Emails between the founder and Karl Rove, a senior advisor to George Bush, are among those released to date. The cache also contains gossip between Stratfor staff, apparently originating from the 2008 presidential campaign of John McCain, that the senator was encouraged to take action against President Obama for alleged electoral fraud in two states. Coca-Cola also seemingly engage Stratfor for background research against Peta activists in Canada ahead of the Vancouver Winter Olympics in 2010. The emails also often detail the inner workings of a company which has proved a subject of fascination for online activists keen to expose private sector intelligence providers. UK and overseas military officials seem to be among the site's customers, indicating future releases may include more on such individuals. A Guardian analysis of records published after the original Anonymous attack revealed the email account details of 221 UK military staff and 242 Nato officials. However, some of information in the emails appeared weaker than the site's release would suggest. Alleged tracking of activist and hoaxing group the Yes Men by Dow Chemicals appeared to amount to little more than email monitoring. Similarly, an email apparently giving Stratfor advanced warning of action by credit ratings agency Moody's in Ireland was instead from the independent analyst wing of the company √É¬¢√¢‚Äö¬¨" which is independent of the credit ratings side, and receives no information on its decisions ahead of time. The emails published to date contain no redactions of information relating to individuals passing information to Stratfor, or anyone else, raising concern for the personal safety of some individuals in the cache. One email, purportedly from a private security contractor, details an apparent assassination attempt on an individual in Libya, seemingly due to mistaken identity with a member of the country's transitional council. The email details the surname of the targeted individual, and even coordinates of his house. Key accounts linked to the Anonymous group were quick to support the WikiLeaks release after it was posted in the early hours of Monday morning, UK time. One of the largest Anonymous-linked accounts on Twitter, @AnonymousIRC, put out a series of tweets within minutes seemingly confirming it was the source of the WikiLeaks release. "We promised you those mails and now they'll finally be delivered. Five million (that's 5,000,000) emails at your pleasure," it said. Stratfor released a statement condemning the release, but confirming it believed the emails were genuine and had originated from an attack on its servers. "In December, thieves compromised Stratfor's data systems and stole a large number of company emails, along with other private information of Stratfor readers, subscribers and employees," the company said. "This is a deplorable, unfortunate √É¬¢√¢‚Äö¬¨" and illegal √É¬¢√¢‚Äö¬¨" breach of privacy. Some of the emails may be forged or altered to include inaccuracies; some may be authentic. We will not validate either. Nor will we explain the thinking that went into them. "Having had our property stolen, we will not be victimized twice by submitting to questioning about them." WikiLeaks said it would continue publishing emails from the document cache over the following days and weeks.